Perfect for hiking, beach days, and anything else! This Growl'r is so perfect! It has a clip for easy attachment to bags, wide mouth for easy filling and no slip bottom! The aqua color is super feminine. I cannot wait to use mine all summer long! This is my fourth or fifth purchase from Brumate, and once again I’m not disappointed. 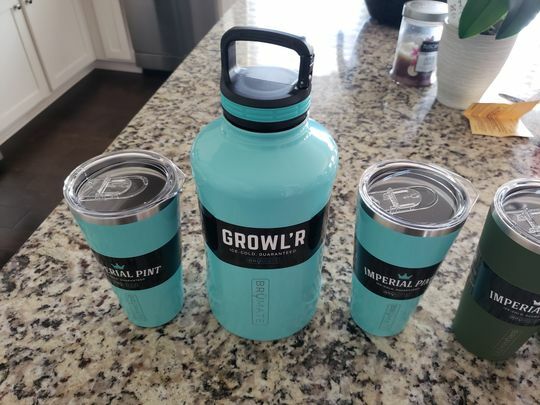 This growler set is wonderful. The aqua color is gorgeous and the set performs as expected! No need to lug around a cooler of beer for gatherings, beer stays cold and fresh in the growler! 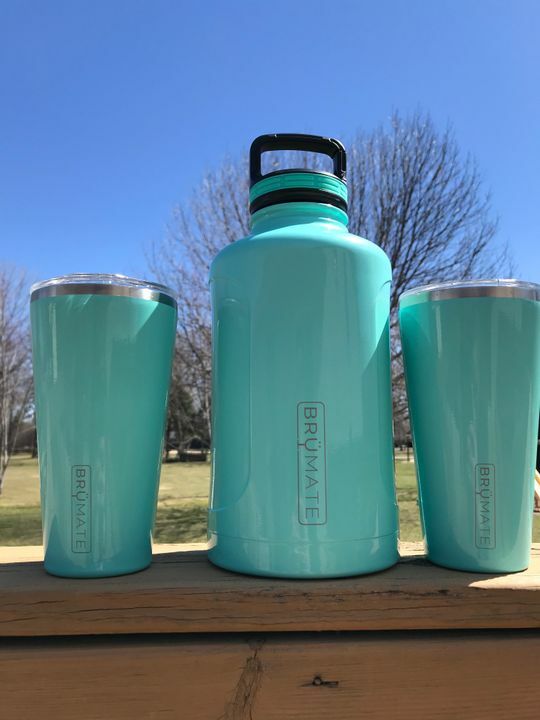 Loving the glossy shine in this aqua set! Lids fit snug on the pints and they're easy to take apart and clean. Honestly dont know how many ways I can I say that I love this product and that it's in a combo! Its beauti always takes my breath away, the physical side of being used has also not let me down, whilst camping I never once had the concern of drinking warm or hot liquids that were ment to be cold! The only worry was that I kept them topped up! 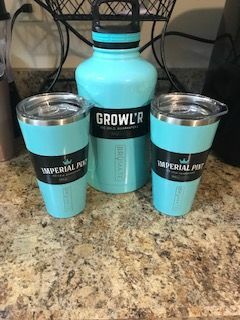 The imperials fit great in my cup holders and I love the amount of liquid one can hold. The growler its self holds plenty for my family of 3 to last a few hours. The water is always gone before even the slightest drop in temp. 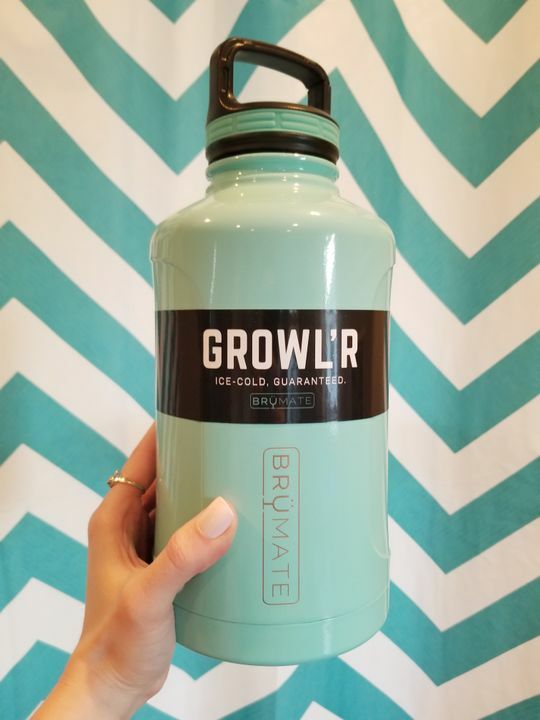 Brumate has never let me down, only thing I could think of would be being able to see the growlers beautiful colour but I keep it safe under the growler cover🤷‍♀️ not really a disappointment though!